​We recently upgraded our Outlook and now the CRM tracking information is not showing at the bottom of the email. 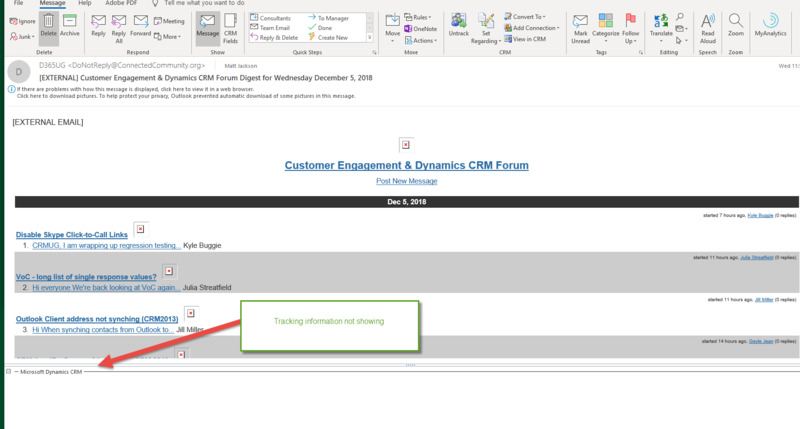 The email is getting tracked in CRM and we get the icon showing it is tracked, we just don't get the tracking links at the bottom of the email. Outlook version - 1811(Build 11029.20079). 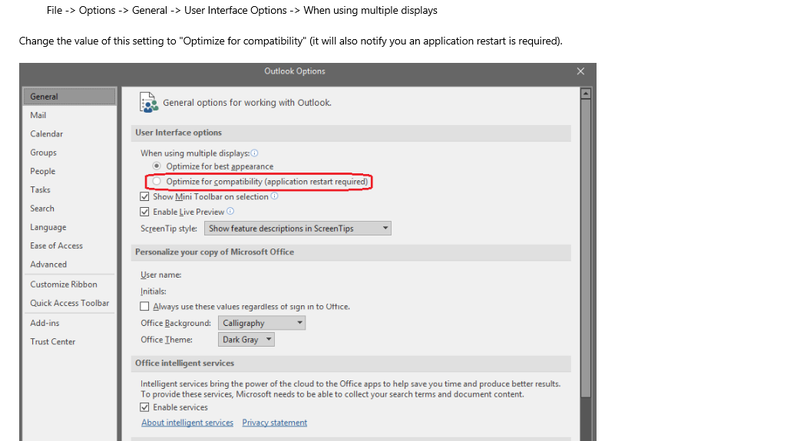 Have you tried re-installing the Outlook client? Just uninstall the one you have and re-install the latest available release. Maybe some registry keys changed between the two versions of Outlook that could be causing this issue. After restarting Outlook - tracking information shows with hyperlinks to CRM.